The Tubus Disco is an ideal rack for bikes with disc brakes. The Disco’s lower mounting is through the rear quick-release skewer. A longer quick release is included with the rack. 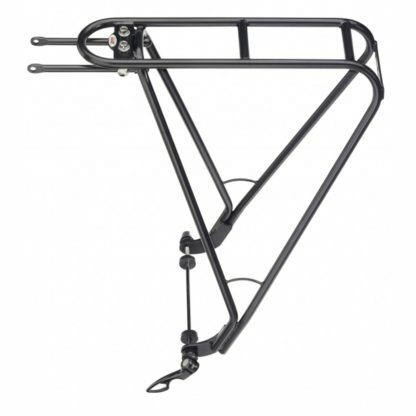 The upper mounting of the rack connects to a bicycle upper rack eyelets. If your bicycle doesn’t have upper eyelets, use the Tubus Seat Stay Mounts. 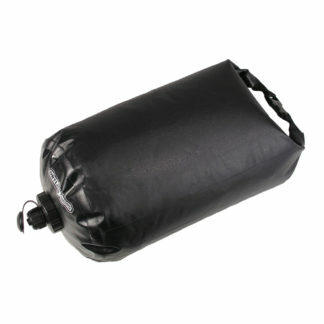 These are available in five sizes to fit any bike. The rear reflector bracket allows you to attach almost all types of American and or European style generator lights. The Disco is made from Chromoly steel for a light yet very durable product.